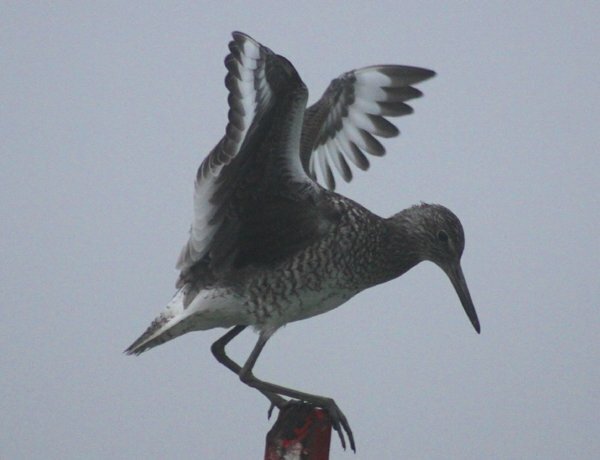 Willets are a very bland shorebird until they open their wings and take flight. Then the flashing black-and-white is extremely eye-catching and makes you wonder how you overlooked them when you scanned the marsh. 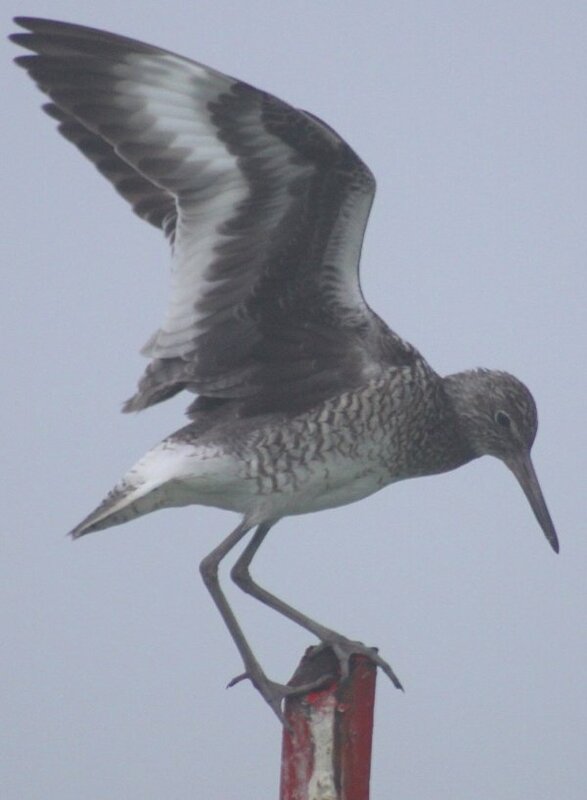 And if you somehow miss them in flight they will definitely make you aware of their presence with the loud, repetitive “Pill-willet pill willet pill-willet” calls. Tringa semipalmata is a bird that is easily overlooked until it isn’t. 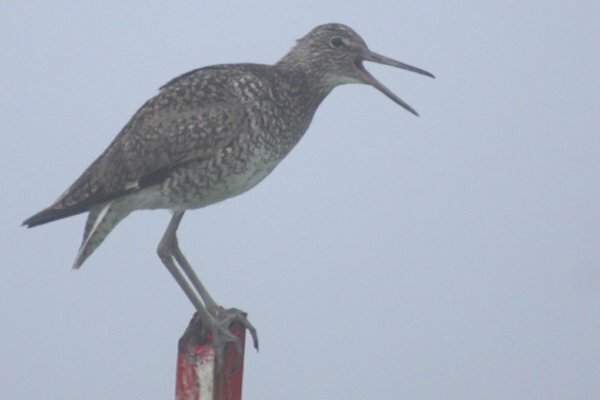 A recent visit to a capped landfill in Queens early in the morning led to sightings of a few good grassland birds but the Willets, which apparently nest there, stole the show. The sun had not yet burned off a thick marine mist so it was sometimes difficult to see the birds as they called, giving me the illusion of being totally surrounded by invisible but very loud birds. Eventually I started to spot them and some even perched up as I drove quite close on the gravel road over the landfill. 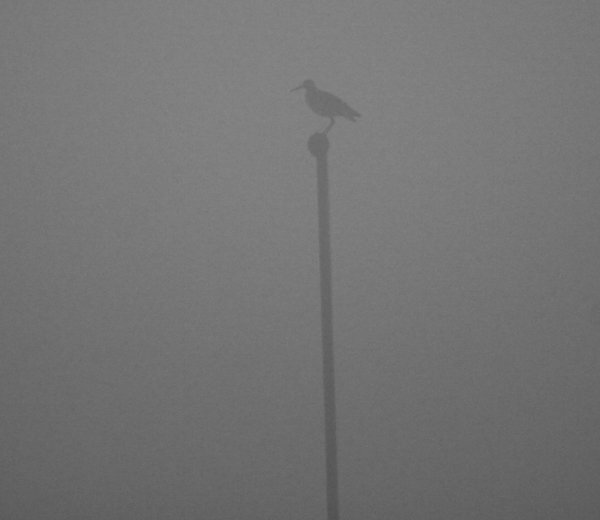 Willets are always a somewhat cool bird but seeing and photographing them in the fog was a memorable encounter for sure. 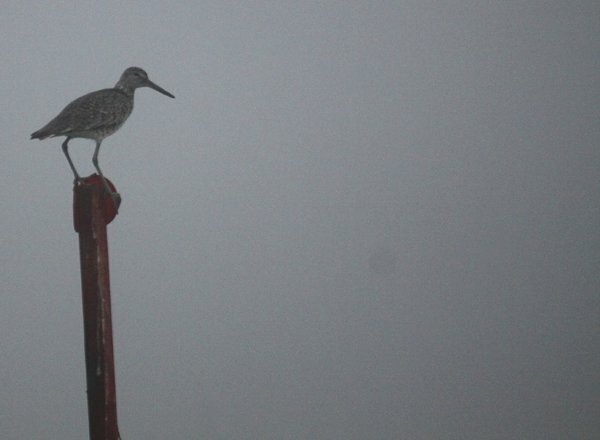 Enjoy these Willet shots and here’s hoping you get to see some Willets in the mist yourself. This last weekend I observed Willets at Antelope Island on the Great Salt Lake. Interestingly enough, they were no where near the shore. They were perched on rocks and calling or flying around steep rocky hillsides. I have been wondering about it, but haven’t taken the time to research this behavior yet. 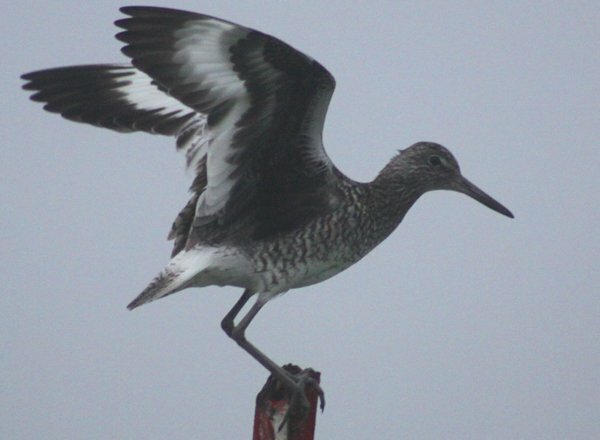 Willets are very bland shorebirds not until they open their wings but only AFTER you’ve seen your life Willet, whenever that may be. @Robert: It is my understanding that they like to nest in marshes but perhaps if such habitat is unavailable they nest in the closest thing to a marsh that they can find by their feeding areas? @Meredith: Ha! One of my favorite place names in Queens. @Jochen: Please don’t tell me you have never seen one. Where Are You Birding This First Weekend of December 2012?